Bryan Cranston almost has the world at his feet these days. The man formerly known as Heisenberg won the admiration of legions of fans with his performance in Breaking Bad, and now the world is his oyster. Granted he was never announced as Lex Luthor like many wanted, but he’s soon to appear in Gareth Edwards’ Godzilla alongside Aaron Taylor-Johnson, Ken Watanabe and Elizabeth Olsen, and it’ll be interesting to see what other projects he’s involved in over the next few years. 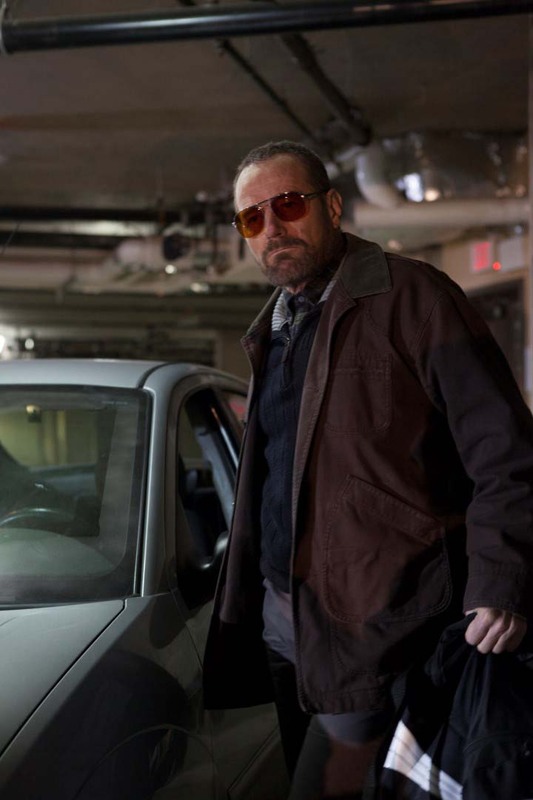 Despite being busy with Breaking Bad, Cranston managed to take on a number of projects at the same time including Drive, Batman: Year One, and Argo. The latest movie to feature everyone’s favourite meth dealer is Cold Comes The Night, out now on DVD. What’s It About? Cranston stars as Topo, a near-blind criminal who finds himself dealing with a single mum who owns a motel that ends up as the scene of a crime. Alice Eve (Star Trek Into Darkness) plays the brave yet fragile mother Chloe, who has to protect her young daughter Sophia (Ursula Parker) from Topo as he forces them to accompany him on a stake out. This is what happens when you’re a motel owner who allows shifty people to stay in your rooms! Chloe soon learns this isn’t the best of ideas, and as time goes on she tries to manipulate the forced working relationship with Topo to her benefit. What follows is a tale of personal caution and human chess as neither person trusts the other, and they are always looking over their shoulder in case they get stabbed in the back. Only one person can come out of this well, but who will it be? Verdict: As easy as it is to rave constantly about the talent of Bryan Cranston, we have to give credit to Alice Eve for stepping up her game and really making Cold Comes The Night her movie. This is a role far removed from the much-debated Carol Marcus in Star Trek Into Darkness. There’s no room here to suggest her inclusion is simply to spice things up, as Chloe is a tough character who challenges Eve’s versatility and certainly shows she is far more capable than Trek ever suggested. At its heart, Cold Comes The Night is a personal tale of struggle with a young mum willing to do anything for her daughter, and Eve and Parker have a very believable on-screen relationship. Cranston on the other hand simply has an aura about him that raises the quality of each scene he’s in and amps up the tension. He has come a long way from his Malcolm In The Middle days, and if Breaking Bad proved anything, it’s that he can play ruthless and dangerous very well indeed. In the end, you almost feel everyone involved deserves a little better than the script gives them, especially Eve and Cranston. The movie is a fairly run-of-the-mill story and Topo’s accent can be distracting. It feels as though the actors could have performed the script in their sleep and would still have managed to deliver the same quality. That’s no fault of their own – after all, you can only work with what’s on the page. The supporting cast is solid (Prometheus’ Logan Marshall-Green and Spartacus’ Erin Cummings especially) and Tze Chun’s direction captures the mood of the piece well, however it never steps up from good to great. Final Words: Cold Comes The Night has a few pieces of what could have been a fantastic crime thriller, but it never quite capitalises on its own strengths enough to deliver to that higher level. To take it back to Cranston – as incredible an actor as he is, the writing, direction and fellow cast of Breaking Bad all came together to make that show as good as it was. You can’t just have one or two good pieces in a puzzle and Cold Comes The Night proves that. Alice Eve does herself a lot of favours here and hopefully her Star Trek future will be a lot more positive than just sexing up some trailers. Cranston’s future is also bright, and hopefully Godzilla can live up to the trailers which look fantastic! Cold Comes The Night is out on DVD now.